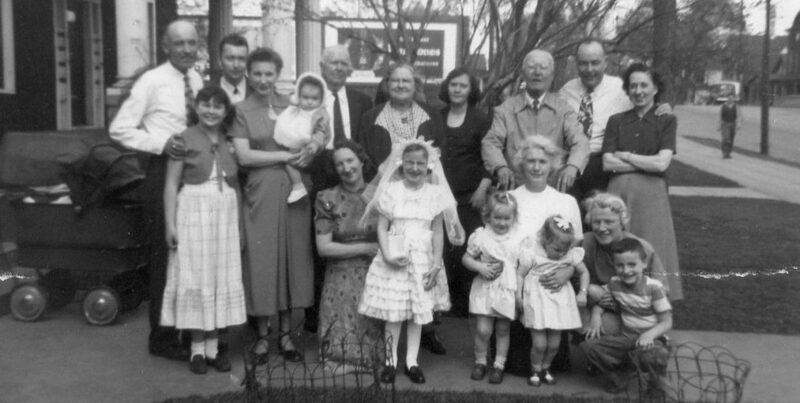 Maureen is back with another delightful story, tying together her childhood in Milltown, County Kerry and her life and family in the United States. Enjoy! And make sure you check out Maureen’s other stories, links are at the end of this story. Our family spent the dark winter nights sitting cozily by the kitchen hearth with oil lamps and candles our only sources of light. We happily passed the time on cold evenings telling tales, singing and reading. When a neighbor dropped by, they were always offered tea and home-baked goodies which were readily accepted. They in turn eagerly shared their own tune or story. I remember grandfather, John Teahan, telling us that on the rare occasion he went downtown to Milltown for a few pints at Shea’s Public House, he was always guided home by a mysterious light. It was a long mile and a half trek in the pitch-black darkness of the countryside back to his farmhouse in Lyre. He never speculated about it, but we grandchildren liked to think it was our late grandmother, Mary Falvey Teahan, guiding him safely home. Many years later my sister, Kitty, thought it was just a young neighbor on the road who, concerned for his well-being, silently lit the way with his flashlight. My brother, Donal, recalls that our sister, Helen, always said she saw the apparition/spirit of the same grandmother sitting by the fireplace at the Lyre farmhouse in the evenings. We never knew our Granny Teahan and had no idea what she looked like. She passed away in 1917 and there were no photos of her. Were we surprised when our cousin later told us his father said Helen was the spitting image of his mother, Mary Falvey! 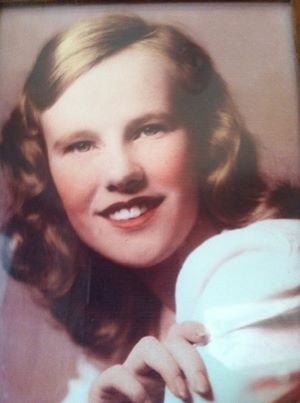 Our sister, Helen, was gorgeous, with a delicate, Grace Kelly-like beauty. Before electricity, the only middle-of-the night excitement was the one time a man arrived by horse and frantically knocked at our door. He had ridden in from the countryside, asking directions to Dr. Sheehan’s house. My Mam assumed his wife was in labor, but we never found out just what the emergency was. 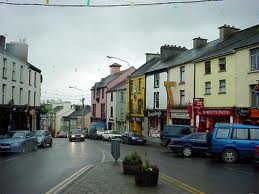 I was about eight years old when the Shannon Hydro-Electric Scheme finally brought power to Milltown. We couldn’t afford to light our house; it just wasn’t in the budget. So our home wasn’t on “the grid” and we never missed or felt we needed it. Although, I’ll admit we children would stay up late into the night when we should have been sleeping watching the blinking lights in Miss Hannah’s shop across the street. Dennis Sugrue, Milltown’s Renaissance man, had installed them around the windows of his aunt’s shop. What a Christmas novelty it was as we excitedly counted the seconds in anticipation of the next blink! We weren’t the only ones who enjoyed the new electric lights. Every night, a man came in from the countryside. He never spoke a word to anyone, shopped, or went into the pubs for refreshment. He just stood silently under the lamppost, stayed there about a half hour, and then returned back the way he came. At the time we thought him eccentric, but now I think of him as a visionary who utilized light therapy before it became common. 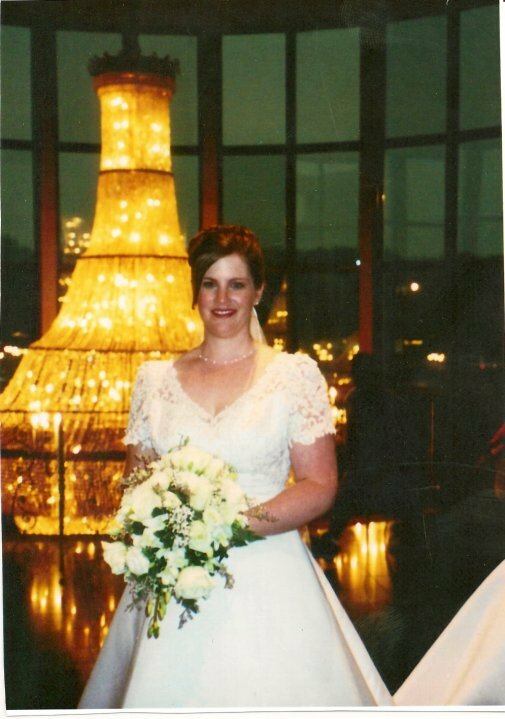 It was an oppressively hot, humid day when my sister Joan’s youngest, Christine Kelly, married Jim Clougher on June 30, 2001. She had planned a summer wedding to avoid the disaster of a winter storm. Sadly, her Mom had passed away just two months before on May first and so didn’t live to see her daughter marry, but some say Joan was there that day! As we sat in St. Columbkille’s Church, Brighton, Mass. that afternoon, it was clear that dark storm clouds were rolling in. The Mass and ceremony were lovely and the rain held off as the wedding party later greeted well-wishers outside the church. But as we drove to the reception at Lombardo’s in Randolph, it became apparent we couldn’t escape the thunderstorm. Still, we were able to enjoy the cocktail hour and dinner without a hitch. The newly married couple had their first dance together as bride and groom. 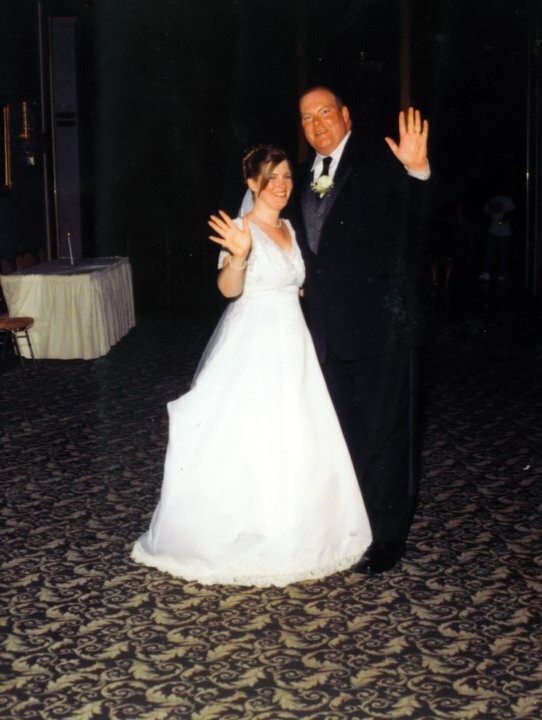 Christine was able to dance with her father, Joe Kelly. As the guests started dancing, the lights flickered off and on three times before they went out for the rest of the evening. The wait staff lit the candles on the tables and placed more around the hall. People began to walk out to the hallway to see the spectacular light-show Mother Nature was putting on in front of the floor-to-ceiling picture window. Lightning reflected off the crystal chandelier above the spiral staircase as we looked out from the second-floor balcony, making for a surreal sight like out of a movie. Back in the hall, the reception continued on without electricity, guests able to converse comfortably, not having to raise their voices above the din of blaring music. Spontaneously, a table would break out in song and people would dance and thoroughly enjoy themselves. When I looked up at the head table during dinner, I thought I saw Joan sitting there for a moment. Christine and Jim’s slight disappointment when the lights went out soon turned to astonishment because they felt in their hearts that Joan may have had something to do with it! And they weren’t the only ones there that strongly felt the same way! We told them some day they would laugh about it. And they have, along with their children, Kelly, Patrick and Brendan. Someday, God willing, their grandchildren will laugh at it, too. Lombardo’s couldn’t have been more hospitable, but they just couldn’t explain how three backup generators failed. When Christine and Jim checked out the next morning, the desk clerk told them the other wedding parties left in disgust. Not surprisingly, the Clougher’s wedding reception went on until the wee hours of morning. The newlyweds were very relieved that their guests continued to enjoy themselves despite the darkness. In fact, many people told them that night was the most fun they’ve ever had at a wedding! Never underestimate the Irish, who have never needed power to have great craic. Categories: Maureen's Memories | Tags: Brighton, Christine Kelly Clougher, Co. Kerry, Joan Teahan Kelly, Lombardos, Massachusetts, Milltown, Randolph | Permalink. I love Maureen’s stories! Such special memories and to be able to share is wonderful!